This is a work in progress post to show what I have worked on over the last week. I've chosen a colour scheme, and started to assemble my Shadow Warrior unit. Massive thanks to Kaelo, who has been amazing with helping me convert the models. 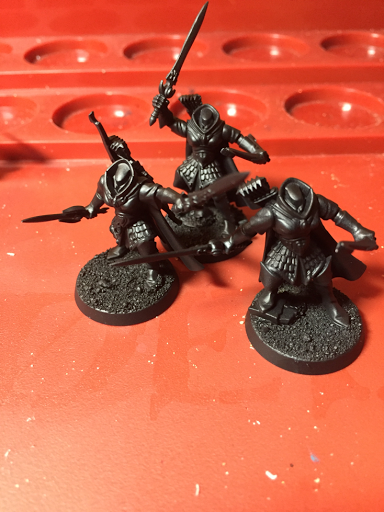 Here are some pictures of my currently headless female Shadow Warriors! I have spent a lot of time thinking about my colour scheme; I already knew that I wanted to use darker colours, but I was struggling with making sure that the unit still looked feminine. I settled on a dark purple and blue as my main colours and there'll be more to come on that in the near future. I would be really interested to see what our readers have been working on this week, so please comment or post below any progress you'd like to share! They are looking really good :) can't wait to see a model complete. Thanks! It's all coming along nicely. Nice work! So what did you use to make them more feminine? I'm curious. I haven't made much progress myself this week as I have been preparing for my first day of basic training tommorow. Hey Simon, thanks for the comment! 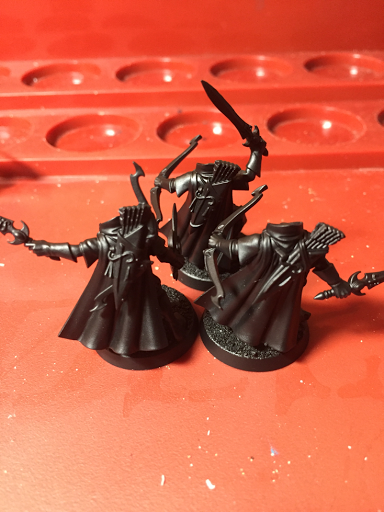 These models have been converted so that they are using the torsos (and eventually the heads) that belong to the Sisters of the Watch, as you can't use the female torsos with the Shadow Warrior arms without some modification. Good luck with your first day of training! Looking DEADLY!!! I'm looking forward to seeing the Aelf get the AOS face lift! Currently batch painting 30 beastmen.... in a very blue colour scheme. Can't wait for my package to arrive and start building! 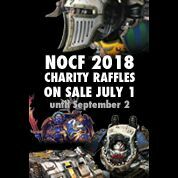 I'm curious to dissect the battletome and formulate an army list! Will be fun..... I don't exactly know what I'll be making so I just bit the bullet and spent a pay check hahaha. I'm also looking forward to seeing what happens with the Aelves! Good luck with the army list. I look forward to hearing what you come up with.